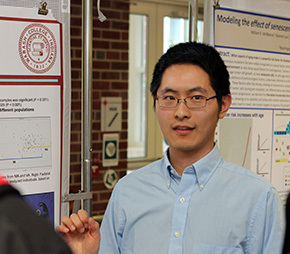 Jingwei was a Biology major at Wabash. In 2015, he received one of the George Lewes Mackintosh Fellows, which provides scholarships to six graduating seniors each year. Last January, a Wabash web story describes how Jingwei had his sights set on becoming a deep sea marine biologist. He is on his way! Lambert ’08 named head coach at Manchester U.
Geoff Lambert ’08 is about to begin his first Cross Country season as head coach of the Manchester University (Indiana) men’s and women’s cross country programs. He joined the Spartans in April 2015. “Geoff is a 2008 graduate of Wabash College, where he obtained a degree in history with minors in education and psychology. As a Little Giant, Lambert was a four-year letter winner in both cross country and track and field. He was a 13-time North Coast Athletic Conference champion and established three NCAC records in his career. He was a six-time NCAA National Championships qualifier and earned All-American honors twice, highlighted by a runner-up finish in the indoor 800 meter run in 2007. He was named Wabash College’s Athlete of the Year in 2007. Congratulations and Good Luck, Geoff! Vince Buzard ’64, an appellate attorney with the Harris Beach PLLC Rochester office, was elected to the American Bar Associations’ Board of Governors at the annual ABA meeting in August. He is also Board liaison to the ABA’s Tort, Trial and Insurance Practice Section, the Standing Committee on Governmental Affairs and the Commission on Immigration. Click here to read the news release. After Wabash, Vince earned his JD from the University of Michigan Law School. Harris Beach Attorneys at Law. Bob Grand, Wabash ’78 and Todd Rokita, Wabash ’92 will be inducted into the Munster High School Alumni Hall of Fame at its inaugural recognition ceremony on Friday, August 21. The alumni hall of fame is part of the 50-year anniversary celebration of MHS. Click here to read the news story. 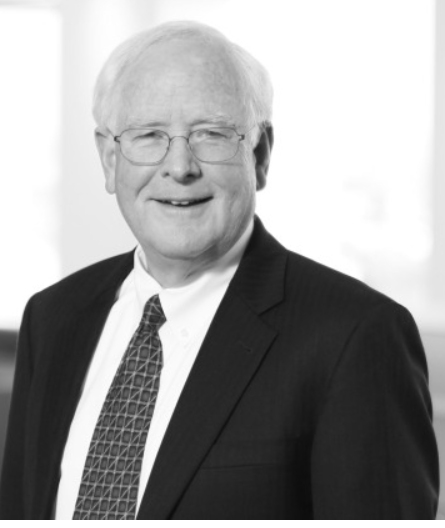 Bob is firm managing partner attorney at Barnes and Thornburg LLP in Indianapolis and a member of the Wabash College Board of Trustees. 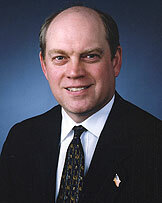 Todd is a member of the U.S. House of Representatives (Indiana) and former Indiana Secretary of State. Phil Clark ’70 has been elected President of the Rocky Mountain Mineral Law Foundation for ’15-’16. 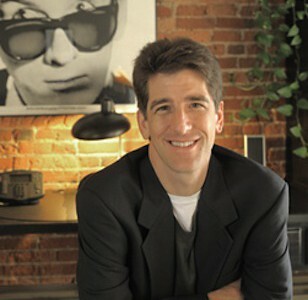 Phil is a partner with the law firm Bryan Cave, Denver office, and has held several previous offices with the foundation. 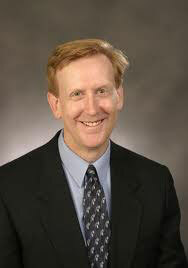 He is recognized in the Best Lawyers in America and Colorado Super Lawyers publications. Click here to read the news release. After Wabash, Phil earned his J.D. from Harvard University Law School. Photo courtesy of Bryan Cave. Dave McGimpsey ’93 ended up with a Rockies out fielder in his lap with the ball during a Rockies-Mariners game in Denver last week. Click here to see the action and see Dave comment in the last video. He’s the guy in the green T-shirt and baseball cap being tackled, and is actually a lifelong Mariners fan who happens to live in Denver. Story shared by Hugh Vandivier ’91. Dr. Richard Gunderman ’83 is featured in the Perspectives column of Inside Indiana Business today, where he discusses “How to Revive the Physician Innovator.” Click here to read his comments. After Wabash, Dr. Gunderman earned his MD and PhD at the University of Chicago. He is Chancellor’s Professor of Radiology, Pediatrics, Medical Education, Philosophy, Liberal Arts, Philanthropy, and Medical Humanities and Health Studies at Indiana University. Robert Meitus ’87 will present a free workshop on “Trademark and Branding, Copyright and Contract Law for the Creative Community” in October, sponsored by the Bloomington [Indiana] Entertainment and Arts District with the city of Bloomington Arts Commission. Click here for more information. Rob chairs Meitus Gelbert Rose LLP’s Entertainment and Media Law practice and serves as counsel for recording artists, record labels, filmmakers, authors and creative business clients. He is an adjunct professor of law at the Indiana University Maurer School of Law. After Wabash, Rob received his J.D. from Indiana University School of Law and Master’s of International Affairs from Columbia University. He lives in Bloomington and performs in his band, Blue Sky Back. Indiana University Maurer School of Law. 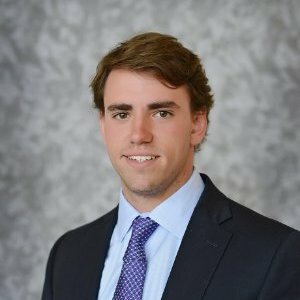 Nick Schenkel ’15 has joined Valspar as an LDP Associate, an 18 month rotational training and development program designed to develop future Sales and Business leaders. Nick’s first rotation is with the Purchasing Group of Valspar Packaging, which sells coatings for the interior and exterior of metal packaging containers (food and beverage cans). Nick was a History major at Wabash. Congratulations, Nick! J.T. Whitehead ’87 is the author of The Table of Elements, newly released poetry which will be featured at a book launch reading and signing at The Kurt Vonnegut Memorial Library’s First Friday event in Indianapolis on August 7. The book was nominated by the publisher for a National Book Award. Click here for details about the event. After Wabash, J.T. earned an MA at Purdue University and a JD from Indiana University School of Law. The Kurt Vonnegut Memorial Library.